The Broadcaster – New Edition! 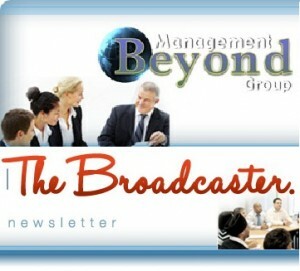 Attention to all our newsletter subscribers – new edition of the broadcaster is on its way!!! You are not on our subscribers list?! Hurry up and get yourself signed up by simply using our FB tab – Newsletter Sign-Up on our page! Be in the loop with all recent news, interesting facts and events in Beyond Management!